Who Said Vegan Recipes is Protein-deprived? If you have ever contemplated going vegan, then you must have read somewhere that one of the downfalls of the vegan diet is its inability to provide the body with the much-needed protein. Well, if you take a few minutes of your time and read along, you will be convinced otherwise. First of all, it should be known that the daily protein intake is crucial for the overall health and healthy functioning of our bodies. If you want to talk numbers, the ratio (for adults) goes like this: 0.8 grams of protein daily for every kilogram of body mass. This means that female persons weighing 150 pounds will need 54 grams of protein, whereas a 150-pound male will require around 64 grams. Proteins, alongside carbohydrates and fat, are macronutrients, this translated in layman’s words means that we have to obtain large amounts of them to stay healthy. For comparison, our body will be satisfied with only a small quantity of the micronutrients, like vitamins and minerals. The most important feature of proteins is their ability to break down into amino acids. These acids promote cell growth and repair tissue which means they are vital for the bones, blood, cartilage, muscles, and skin. In addition, protein is what our bodies require to form body chemicals like enzymes and hormones. A fun fact about protein is it is what our hair and nails are made of. 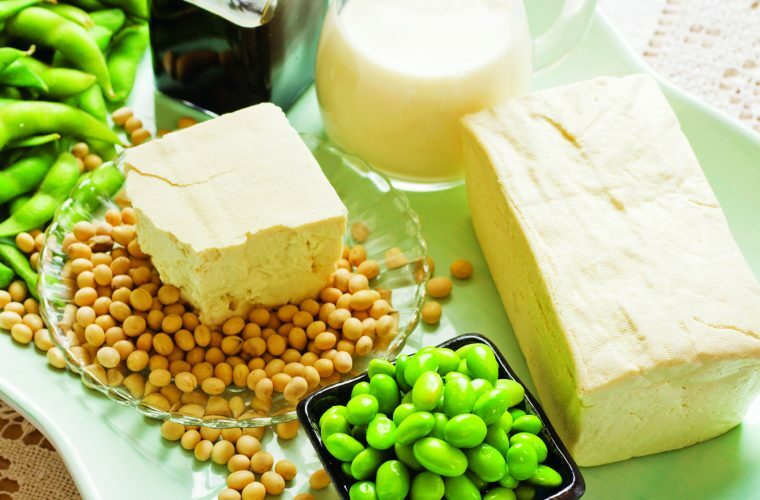 How to Implement Protein in Your Vegan Diet? Although meat, poultry, and eggs are very rich sources of protein, they are definitely not the only ones. Now, this might come as a surprise to you, but nearly all the foods contain protein (this excludes alcohol and sugar, though). Among the most protein-packed vegan ingredients are beans, natural soy, nuts, lentils, quinoa, seeds, and seitan. For all of you not familiar with this last ingredient it is actually a wheat gluten meat. When it comes to milk, almond milk will provide you with the desired protein and it is a great vegan, non-dairy milk alternative. Beans are another rich source of protein, in fact, half a cup of beans contains the same amount of protein as an ounce of meat. When it comes to actual recipes, the internet abounds with them. There is really no shortage of Quick and Easy Vegan Recipes, the Best for Your Diet. So, go ahead and give them a try. Not only will you be meeting the protein needs, but you will be enjoying every single bite of your meal. An important thing you should bear in mind is actually a Latin proverb: Omnium rerum participia parva sunt. This literally translates into “Everything has a small beginning”, and it is ok, as long as you are adamant at your decision. Be it for health, environmental, or ethical reasons, going vegan is a process that takes time. So don’t force yourselves at just cutting off on meat, poultry and dairy products overnight. First off, start by implementing more fruits and veggies and gradually cut on meat and dairy products. Plus, some vegan recipes can be pretty unusual to taste, say tofu. And also, make sure to get familiar with all the dos and don’ts when it comes to meat replacements. See, although vegans depend on soy-based products as meat substitutes, leaning solely on them can be harmful. Although the opinions are divided and you will find as many opponents as critics of implementing soy in your diet, the best way to do it is the stoic way. Meat replacements can contain large amounts of sodium and preservatives, and these are not exactly the best choice when it comes to your health. So much so, that eating quality meat is better than eating a low-quality meat replacement. When it comes to breakfast, a simple oatmeal with some almond meal will provide you with the protein and energy to keep you through the day. However, if you are one that loves to eat big, or prefer the first meal of the day to be your largest one, then you can prepare yourselves a vegan recipe like the one for pancakes. Replace regular milk with a vegan substitute like almond, coconut, rice or soy milk. As for the other ingredients, vegan recipes vary from those calling for pumpkins, to those calling for blueberries. Either way, the final outcome is bound to be scrumptious and filled with good for you ingredients. If you are looking for a recipe that is both light and satiating, then you should opt for a salad. Make sure to include vegetables that are not only green, because it is usually these that are hunger-satiating. Say potatoes, beans, and olives. Add some seeds (sunflower, sesame, pumpkin seeds to preference). And my personal favorite, chickpeas. You can prepare them with some dijon mustard, pure maple syrup, dried dill and a pinch of salt. As for a dressing for this kind of salad, you can go for a simple balsamic vinegar, or prepare a dressing with a minced shallot, a teaspoon of dijon mustard, a teaspoon of chopped fresh thyme and 1/3 cup of red wine vinegar and ¼ cup of olive oil. My all-time favorite dinner recipe must include some vegan pasta. Now, to complement and enrich the pasta’s flavor, there is the vegan recipe for meatballs. It is kind of ironic calling them meatballs, but they are equally tasty as the meat variant. With all the onion and garlic flavors and the Italian seasonings, you won’t be able to notice the lack of meat in these meatballs. The almond meal will provide for the protein intake and a flax egg will do the binding job. If you are a vegan, want to start implementing a vegan diet, or are simply curious on what vegan food tastes like, go ahead and give a vegan recipe a try, and never for a moment doubt if vegan food is rich in protein!